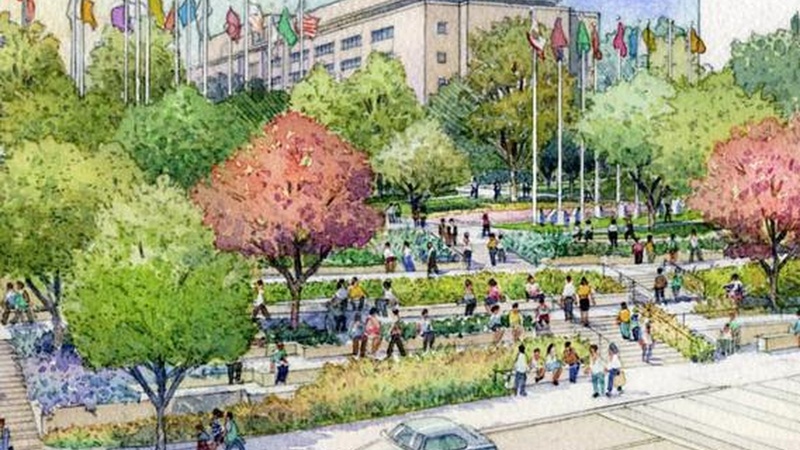 A public park built mostly with private money will open in LA tomorrow. It stretches from the County Courthouse and Hall of Administration on Grand Avenue all the way down the hill to the LA City Hall. It’s designed for a range of uses from family barbeques to musical concerts. But will it become a destination for the rest of Los Angeles? Also, a rebroadcast of To The Point on Penn State and the culture of college football.